Tree of life with Rose Quartz Orgonite Pendants are available with highly spiritual activity. Tree of life is gives an amazing experience of healing. Rose Quartz is known for romantic stone. This amazing combination of pendant gives it an attractive look. 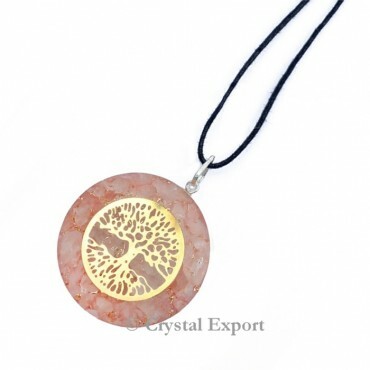 Get the best Rose Quartz pendant only at Crystal Export.